MARGARITA 'Meggie' Ochoa handed the Philippines its first gold in the 2016 Asian Beach Games in Danang, Vietnam. 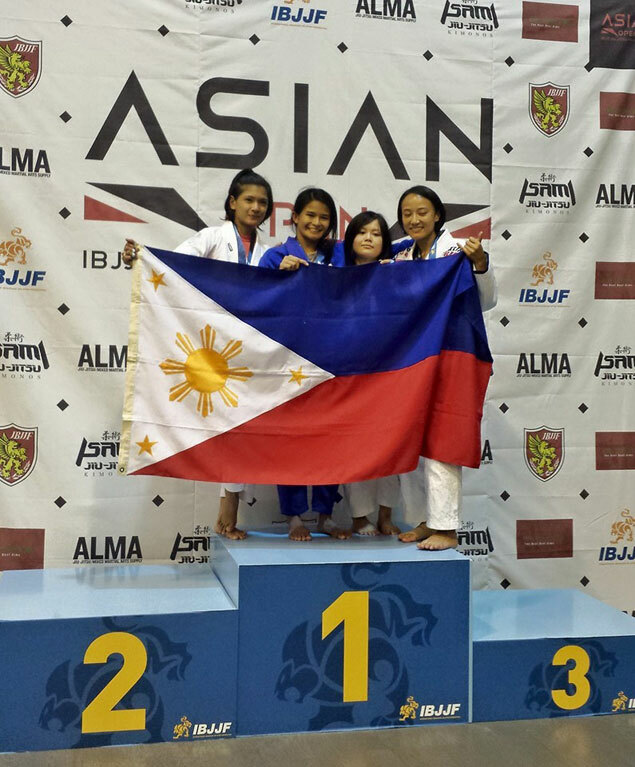 The peitie Filipina bagged the gold in the newaza women’s -45kg division in ju-jitsu after beating Suwanan Boonsorn of Thailand in the final on Sunday that saw the Philippines hiked its total medal tally to one silver and four bronzes. The Philippines is now in seventh place in the medal standings, with host Vietnam on top with a 4-4-13 gold-silver-bronze output. The 26-year-old Ochoa, gold medal winner in the last World Jui-Jitsu Championships, defeated Do Thu Ha of Vietnam in the quarterfinals and Dinara Jumadurdyyeva of Turkmenistan in the semifinals. Gian Taylor Dee settled for a silver medal after losing to Amir Yahya Abdulamir of Iraq. In muay, Jonathan Polosan and Jay Harold Gregorio formally settled for bronze medals after losing their respective semifinal bouts. Helen Dawa took a bronze in women’s kurash -52kg division after winning over Mahima Tokas of India in the quarterfinals. She failed to go deeper in the competition after bowing to Nguyen Thi Quynh.